From the vantage point of cryptocurrency players and analysts, Congressional action on the part of cryptocurrency will likely stay on its same general course, albeit with the possibility for a more decidedly Democrat flavor: how regulation stands to affect the retail-level consumer as much as the big-time asset management firm. Warren Davidson, the Ohio Republican who spearheaded the September Congressional roundtable, was re-elected, as were his GOP roundtable colleagues Ted Budd (R-N.C.)and Tom Emmer (R-Minn.), both of whom have drafted cryptocurrency bills since the September talk. Emmer is also one of the four co-chairs of the 18-member Congressional Blockchain Caucus, most of whom will be returning in January. Co-chair Jared Polis (D.-Colo.) is staying in the Rocky Mountain State as the nation’s first openly gay governor. (What will this mean for crypto in Colorado?) Longtime Virginia Republican Bob Goodlatte is retiring, to be replaced by fellow Republican Ben Cline. Pennsylvania Republican Keith Rothfus succumbed to the House “blue wave,” as appears will Tom McArthur as the votes get counted in his tight race against Democratic challenger Andy Kim in New Jersey’s 3rd Congressional district, which stretches from outside of Philadelphia to the Jersey Shore. Minor shifts among Congress’s top cryptocurrency brass or not, beyond any possible consumer-watchdog tacks, don’t expect major sway in crypto policy. From the early days of Congress’ cryptocurrency task force, crypto has been a bipartisan cause that has remained far from being a hot-button topic for rhetoric. “Neither political party made the topic a campaign issue, as the space is still new and generally does not affect the average taxpayer,” says JR Lanis, partner and cryptocurrencies expert in the securities practice at the Los Angeles office of law firm Drinker, Biddle & Reath. Cryptocurrency bills pending in Congress include H.R. 3708, a bill to exempt small transactions (less than $600 at inception, pegged to inflation going forward) from IRS reporting, as well as H.R. 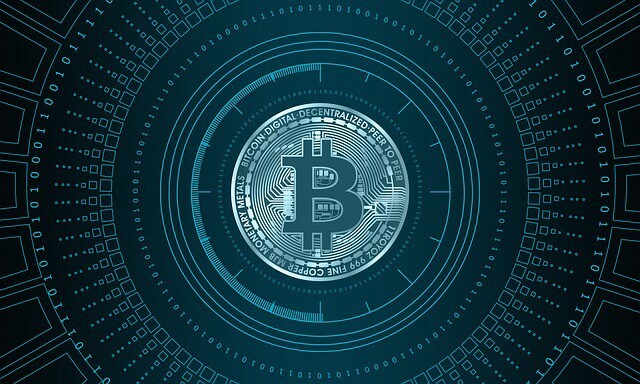 6973, meant to protect taxpayers from regulation by enforcement on convertible cryptocurrency received following a blockchain forks. David Schweikert, another of the Congressional Blockchain Caucus co-chairs, is the lead sponsor of H.R. 3708; Emmer is heading H.R. 6973 and 6974. Budd is the leading sponsor of H.R. 6721, a bill that would provide that the Financial Crimes Enforcement Network gets monitoring technology for cryptocurrency transactions and other novel financial technologies. Each of these bills are still in committee; whether or not they reach the House floor for a vote is largely dependent on factors beyond political winds. The consensus in the cryptocurrency industry is that regulation needs to happen — no matter which side of the aisle gets it done — to prevent more regulation by enforcement, as two of the pending bills seek to avoid. Participants at the September roundtable were nearly unanimous in mentioning ambiguity as a reason for taking cryptocurrency-based businesses overseas, lest they make the wrong step without knowing they took a wrong step in the first place. The pending bills will likely survive the Congressional term next January, though with the chance for some slight tweaks to language. In the meantime, members of Congress have asked the SEC for some clear guidance on initial coin offerings (ICOs).